Blossom Lounge opened around two months ago, and is rather hard to spot on a simple meander through the Distillery District 's cobblestone streets, with virtually no streetside presence. 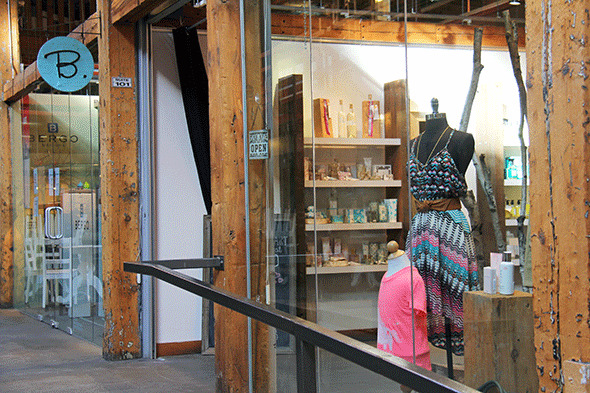 Located inside a multi-retail building on Tank House Lane, floor-to-ceiling windows afford you a glimpse of worn wood contrasting against the original factory bones of the space--think exposed pipes, brick, walls, and the Distillery's tell-tale green grated windows. The stock, however, doesn't capitalize on the hard-edged appeal of the space, steering instead towards romantic looks. Blossom Lounge originally opened several years ago on Main Street in Unionville, and Lauren Snowball, one of the shop's staff, tells me that the expansion to the Distillery District was a natural one, as the neighbourhood bears the same small-town vibe that's so important to owner and buyer, Shauna Podruzny. The thrust of the concept was initially internationally-sourced bath and beauty products and cosmetics, although it's since evolved to include clothing and accessories under its umbrella. "They're all smaller lines with a certain aesthetic--very feminine and whimsical, but also very sophisticated," Snowball tells me. 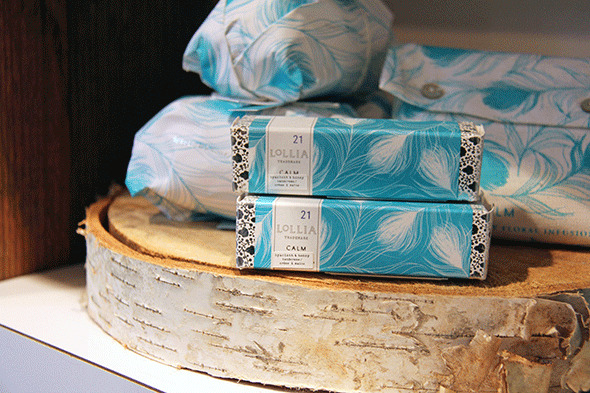 On the bath and body end of the spectrum, brands include Lollia 's feminine and beautifully packaged products and perfumes, as well as deep steep moisturizers and cleansers. 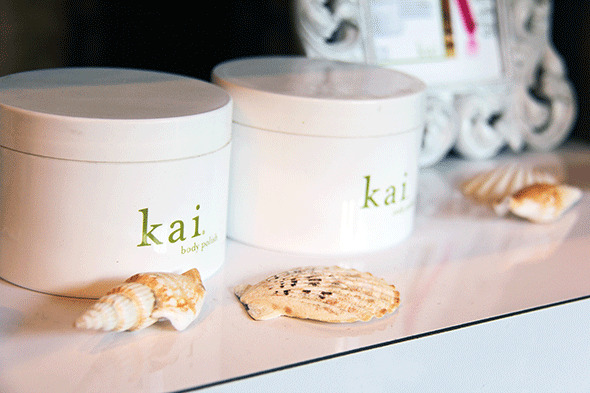 You'll also find the Kai line of body products, each marked by the light, signature fragrance, and two organic skin and hair care lines: One Love Organics and John Masters Organics . Throughout the shop, there's the sense that each brand is carefully curated, and Podruzny clearly puts a lot of thought into choosing smaller lines with a quirk factor. 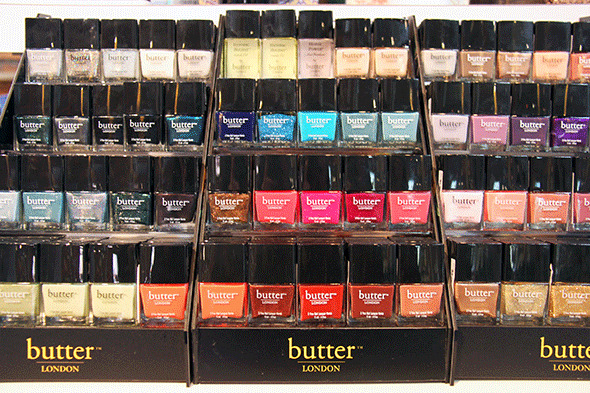 For nail polish, Blossom Lounge only carries butter London in a thorough range of colours, and their short list of perfumes run the gamut from Tokyomilk to Tocca --in short, the focus is on unusual scents created by smaller operations than what you'd expect to find in a department store. 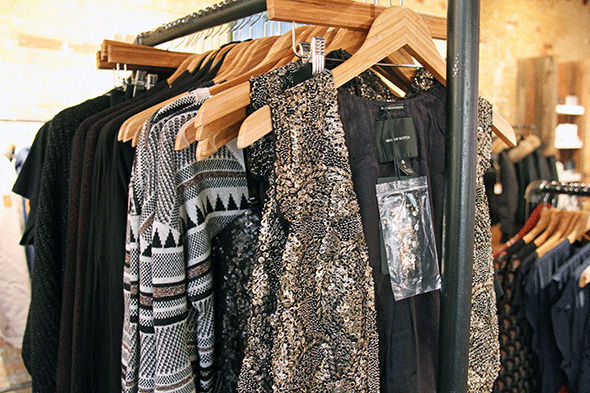 The clothing is feminine and comfortable with the occasional peekaboo hint of edge. 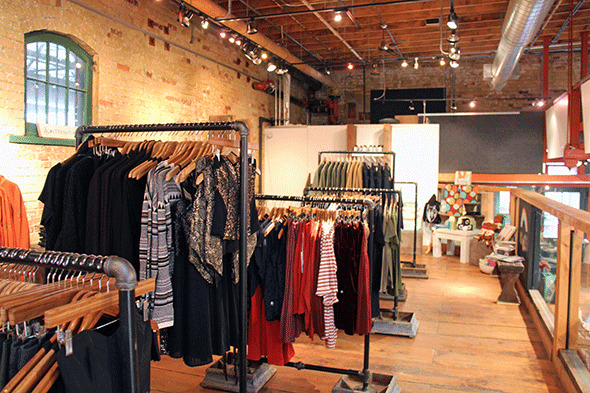 You'll find cozy, well-made staple pieces from L.A. Made , Charlie Jade 's silken playful prints (around $200 for a dress), and Soia and Kyo down jackets (around $400). They also carry sculpted jackets from muubaa that owe their distressed, worn look to special treatments on the leather. 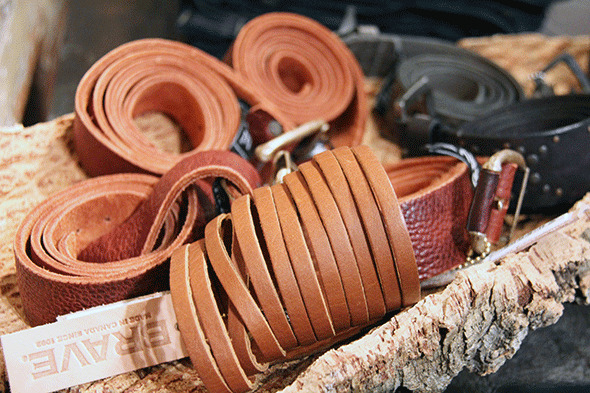 Blossom Lounge also carries Maison Scotch , BB Dakota , and the medieval-inspired leather handbags of One Fated Knight . 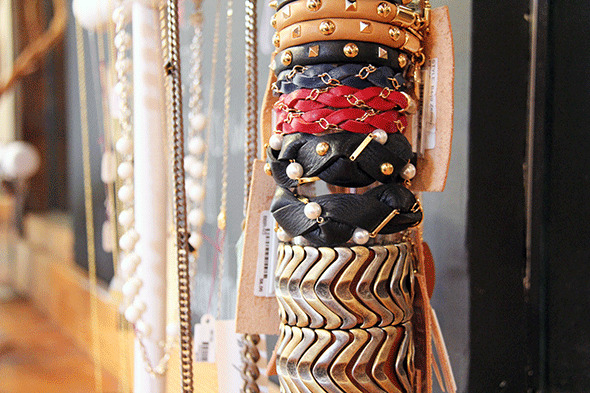 Jewellery brands on offer include Dogeared and jewelsmith , and as a nod to the many gift options you'll find in-store, they also carry cards from Positively Green and Frank and Funny ($4). 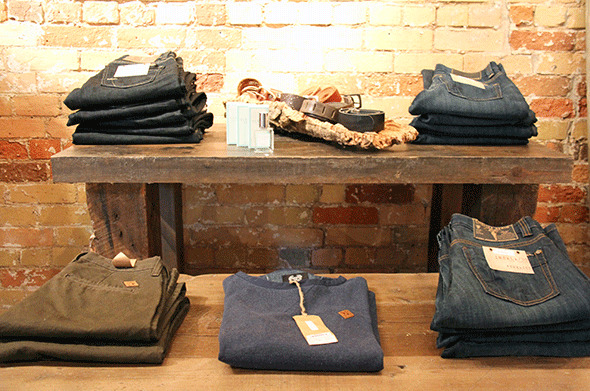 They've recently started carrying menswear, and one of their key (incredibly popular and somewhat difficult to find elsewhere) brands is RVLT , as well as Fidelity and Mavi . Blossom Lounge's focus on skincare extends to men's grooming needs, with the MenScience brand. For spring, rumour has it you can look forward to the flirty, easy-wearing designs of Covet and more B.B. Dakota--that is, after several more months of teeth-chattering cold.